Over the last couple weeks, I’ve been trying to cut intricate word art from my computer to my Cricut Expression. Maybe I need to adjust the settings on my Cricut even more, but I just couldn’t get it to cut my designs the way I wanted. For some reason, it was rounding all my sharp corners, and over-cutting some corners (the over-cutting i solved by reflecting my design and cutting it backwards. When I turned the cardstock over, the over-cutting didn’t show). Hard to explain, but believe me, it was odd. At first I thought I just needed a new blade, so I swapped that out. Then, a new cutting mat. Then I adjusted the speed and pressure. The new blade and different settings helped a bit, but overall, it was still unsatisfactory. I was at a total loss, frustrated, and wanted to throw my Cricut across the room. NOTE: I realize that I’m being a perfectionist. Of course, the result from the Cricut was okay, but I wanted the machine to cut exactly what I had designed, WITHOUT any changes. Then I remembered that I had cut super thin and intricate designs with my Silhouette last spring while I was designing my digital kits for TwoPeas. Like SUPER thin stuff. I was testing the limits of the Silhouette to see how detailed I could get. After I got my Cricut and was happy with it for a month or two, I took my Silhouette to work and used it to mock up things. It just sat on my desk and didn’t get used too much. The corners were much cleaner on the Silhouette. 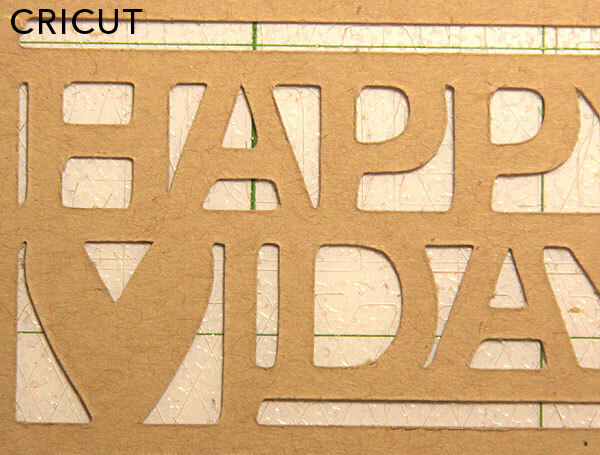 Now, I realize there are quite a few factors that might be causing the Cricut to cut differently. I am using SCAL, which might adjust the design, but I highly doubt it. It seems to be more of a firmware issue than a problem with the actual mechanics of the machine. As if the programming on the machine is dumbing down the design, even through the machine probably could cut it correctly. 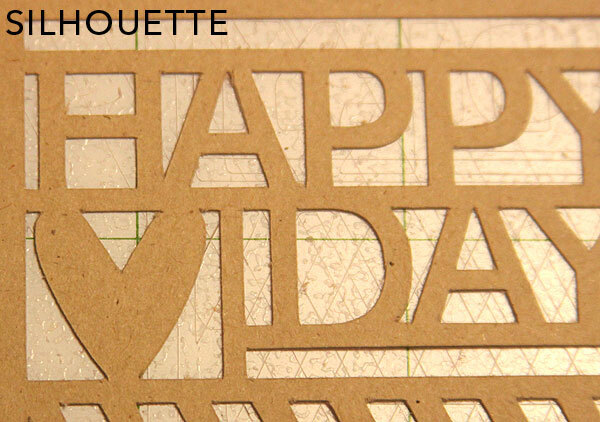 So, in the great Cricut vs. Silhouette debate, the Silhouette has pulled ahead. Just my opinion.